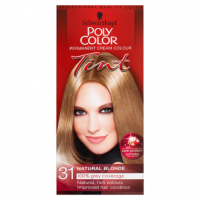 GET A NATURAL LOOKING COLOUR IN ONE SIMPLE STEP! Nice ‘n Easy promises 100% GREY COVERAGE even on your toughest greys. Our exclusive ColourSeal Conditioning Gloss designed for beautiful brunettes adds intense shine, and helps seal in beautiful, natural looking colour for up to 8 weeks! Our exclusive COLOUR BLEND TECHNOLOGY gives you a pigment-rich base layered with contouring highlights for our most natural looking colour ever! The result is colour that is truly yours. NATURAL MEDIUM ASH BROWN Layers cool tones and minimizes red/orange undertones. 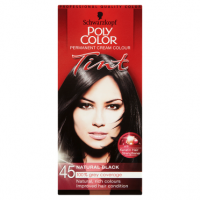 For optimal results, use on light brown to dark brown hair. HAIR COLOURANTS CAN CAUSE ALLERGIC REACTIONS WHICH IN RARE CASES CAN BE SEVERE. TATTOOS MAY INCREASE YOUR RISK OF ALLERGY TO THIS PRODUCT. CONDUCT A SKIN ALLERGY TEST 48 HOURS BEFORE EACH TIME YOU COLOUR EVEN IF YOU HAVE ALREADY USED COLOURING PRODUCTS BEFORE. SO REMEMBER TO BUY THE PRODUCT 48 HOURS IN ADVANCE. 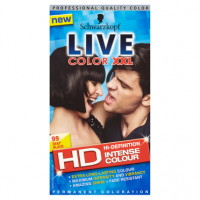 YOU HAVE ALREADY EXPERIENCED ANY REACTION TO HAIR COLOUR PRODUCTS. YOU HAVE SENSITIVE, IRRITATED OR DAMAGED SCALP. IN THESE CASES, CONSULT A DOCTOR BEFORE DYEING YOUR HAIR WITH ANY COLOUR PRODUCT. CAUTION: CONTAINS AMMONIA, PHENYLENEDIAMINES (TOLUENEDIAMINES), RESORCINOL AND HYDROGEN PEROXIDE. CAN CAUSE AN ALLERGIC REACTION. DO NOT USE TO DYE EYELASHES OR EYEBROWS. RINSE HAIR WELL AFTER APPLICATION. AVOID CONTACT WITH EYES. RINSE EYES IMMEDIATELY IF PRODUCT COMES INTO CONTACT WITH THEM. WEAR SUITABLE GLOVES. PARENTAL ADVICE - PRODUCT NOT INTENDED TO BE USED ON CHILDREN. 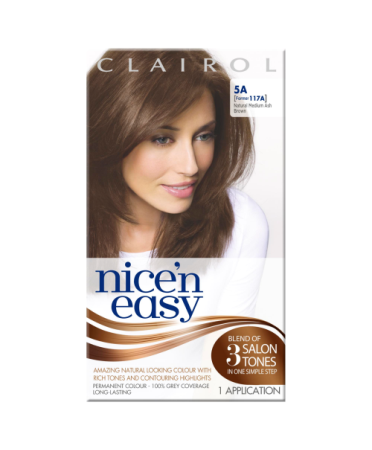 If your hair is thick or longer than shoulder length, you may need an extra box of nice 'n easy. Nice 'n Easy promises 100% GREY COVERAGE even on your toughest greys. 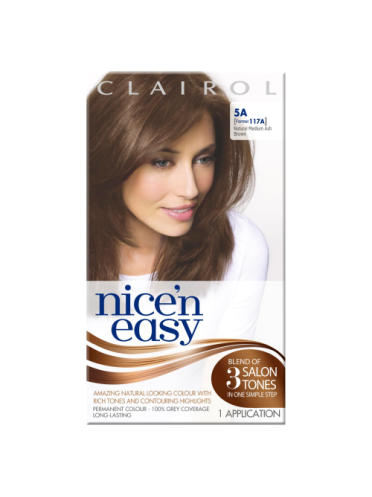 Our colour with Clairol's exclusive Colour Blend Technology expertly blends 3 complementary tones into every shade. The result? Natural looking colour that's perfectly true to you.